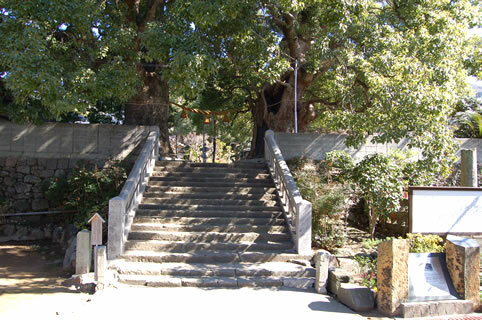 The upper branches of two huge camphor trees at Sanno Shrine were broken off by the force of the bomb, after which they lost all their leaves for a time and were thought to have died. However, new leaves sprouted and they continue to grow even today. The trees were designated as "living memorials" by the City of Nagasaki in February 1969.